A customizable Glass for the masses. 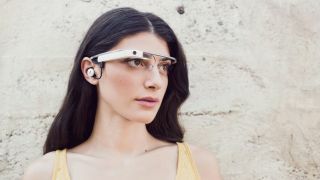 With Google Glass ready to be rolled out in its second iteration, Google has made the Glass a much more exciting offering with new details of customizable add-ons. Google will be partnering with a number of different companies for Glass accessories, with new pages on the Glass Explorers site showcasing how charging the Glass will work, as well as attachable shades and shields. For those not wanting to rely on the bone-vibrating sound function, it was revealed earlier this week that Glass 2 will have an earbud component. A Glass Explorer page now explains that the mono earbud will be attachable via a mini USB port. It'll be included with your Google Glass 2, and you'll be able to switch its colour with changeable caps. Another page explains that the Glass itself can be charged using a USB cable attached to your laptop (which you can also use to transfer photos and videos), or you can use a wall charger. While Google Glass 2 has received a sleeker new frame, the Glass Explorer has revealed that the company will be partnering with Maui Jim and Zeal Optics to include a pair of attachable sun glass shades. Google also says that clear protective shields will also be available, and the page includes a graphic step by step guide on how to attach the shades and shields. Most interesting is that the Glass 2 will also allow you to swap frames, making the new model customizable. What kind of frames and shade will be available is yet to be seen, but making the Glass 2 customizable will give it a new appeal for the more fashion-conscious. No pricing details have been given and none of the attachable accessories are on the site yet, but they are expected to pop up as they become available, so if you are a Glass owner or one of the lucky few to be invited by a current Glass Explorer, then keep your eyes on the site. Here's what we think of a Google Glass future.